The hybrids were developed by the International Institute of Tropical Agriculture (IITA) in partnership with DuPont Pioneer Seeds using conventional breeding with funding from IITA and the Integrated Striga Management in Africa (ISMA) project as part of strategies to control S. hermonthicain maize. 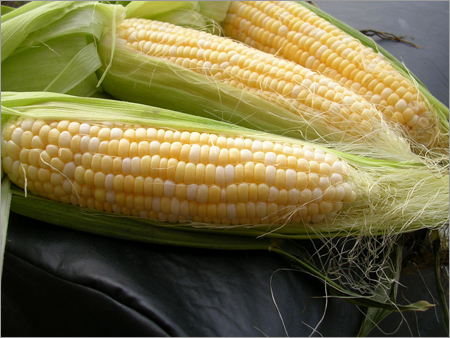 Recent baseline studies conducted under the ISMA project showed that farmers ranked Strigaas the number one constraint to maize production in northern Nigeria, with 50 to 100% of the households reporting Strigaincidence in their farms. The parasitic weed infests more than 9 million ha planted to millet, maize, and sorghum in Nigeria and severely lowers the production capacity of these crops. The released herbicide-resistant hybrids allow seeds to be planted that have been treated with low doses of metsulfuron methyl herbicide. This targets S. hermonthica before or at the time of its attachment to the maize root, killing the parasite underground before it inflicts damage on the crop. These hybrids can thus be used to deplete the Striga seed bank in the soil and minimize yield losses in subsequent cereal crops. MSM-reated seeds of these hybrids can be integrated into the diverse farming systems in Nigeria because the herbicide effectively controls the parasite at a low rate of application.